The Krauter Vesuvius came from a sport from the old Vesuvius flowering plum. The L. E. Cooke Co sold Vesuvius Flowering plums to Krauter Nursery, Bakersfield, California. 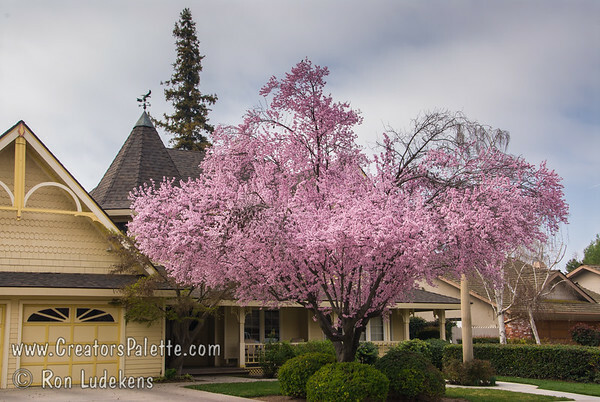 Summer 1957, Howard Krauter phoned Bob Ludekens about a branch on a Vesuvius Flowering Plum which held the purple foliage color into summer. The branch was low on the tree and fortunately had not been cut off. At that time our nursery main office was in Southern California and the production fields were in Kings County (Central California). On one of my trips from San Gabriel to the production nursery, I stopped by Krauter Nursery. We discussed what we wanted to do. He wanted the L. E. Cooke Co. to bud for him a lot of trees from that limb, so he cut most of it off and handed it to me. We budded it the next day. At this time we did not know about any fruit or how well it retained the purple coloring into the fall. The company had just introduced Thundercloud Flowering Plum from Oregon, so questioned if this sport had future value. I liked the way the Krauter sport grew into strong trees with excellent showy purple leaves which held color until they dropped in the fall. Howard and I considered a patent but there were other flowering plums. We still had limited knowledge and Howard wanted the trees "now" to sell. I suggested the name of Krauter Vesuvius Flowering Plum. It was introduced in our 1959-60 catalog. Mr. Krauter received all the 1958-59 trees. Today Krauter Vesuvius is a major seller. Texas and some others call it KV. This tree does not fruit in the mild winter areas of Southern California, but does fruit on the streets of Fresno. Like the Vesuvius, is only hardy to about 15°. 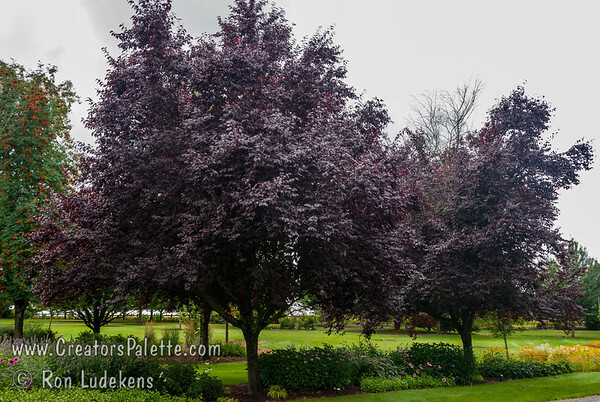 This selection holds excellent color and grows to 20 feet with 15’-20’ spread depending on how pruned. KV makes a good tight head.